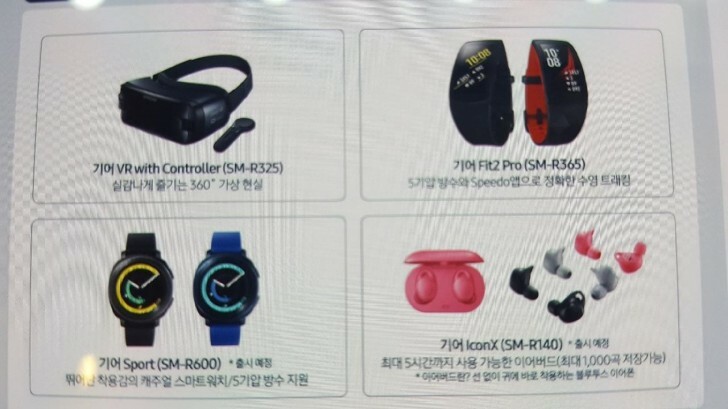 We had an inkling that the Gear Fit2 Pro will not be the only wearable Samsung brings to IFA and now we know the other one – the Samsung Gear Sport (SM-R600). This one seems to break the “Gear S” naming convention, but other than that the familiar features seem on board – round screen, Tizen and a heart rate sensor (visible in the FCC schematics). The text below the watch promises 5 ATM waterproofing – that’s serious resistance as far as smartwatches go, making the Gear Sport suitable for swimming. Presumably there are related features (e.g. stroke count and lap tracking), but the text doesn’t elaborate, it just says “coming soon”. The watch should be the first device to run Tizen 3.0 and will definitely have Wi-Fi and Bluetooth connectivity. The FCC certification did not show LTE connectivity though, either that’s coming later or not at all. Expect to see this one at IFA at the end of the month. This watch is trash. Apple Watch series 2 is much better. Oh yeah, I forgot about that. True, the Watch 2 Series is also rated for upto 5 ATM and I remember they tested it vigorously.